Cassandra Hollemon died Monday after weeks of struggling with “health issues,” according to fellow misdemeanor Judge Darrell Jordan. She was 57. 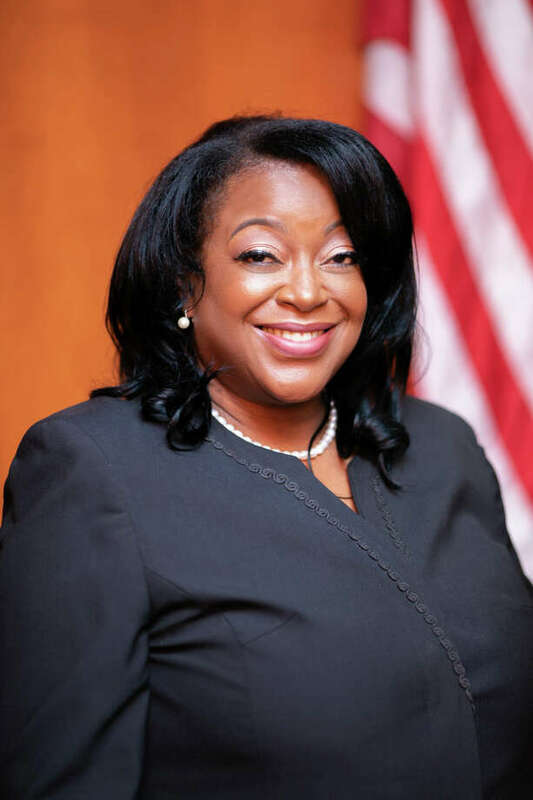 After graduating from South Texas College of Law in 1994, Hollemon spent more than two decades practicing criminal law, she told the Chronicle editorial board last year. In November’s blue wave election, she bested Republican candidate John Spjut. In the coming days, the appointment process will begin for filling Hollemon’s bench. Since the majority on the court are Democrats, it’s likely that the bench will go to another Democrat. In the past, county leaders have accepted resumes, letters and phone calls from people interested in the position and vetted them in executive session prior to a vote, said Pct. 3 Commissioner Steve Radack, who has served in the executive body for more than two decades. Those interested in applying must be U.S. citizens, 25 or older, county residents for at least two years and licensed attorneys who have practiced law or served as a judge for four years, according to the state’s Office of Court Administration. Over the past three decades, according to Radack, the commissioners have appointed more than 20 people to fill vacancies due to retirements, including sheriffs, constables, tax assessors, county clerks, justices of the peace and probate, civil and criminal judges and one county judge.